Military medal racks are a way for soldiers, sailors, airmen and Marines to display the medals and awards they have earned through their military service. 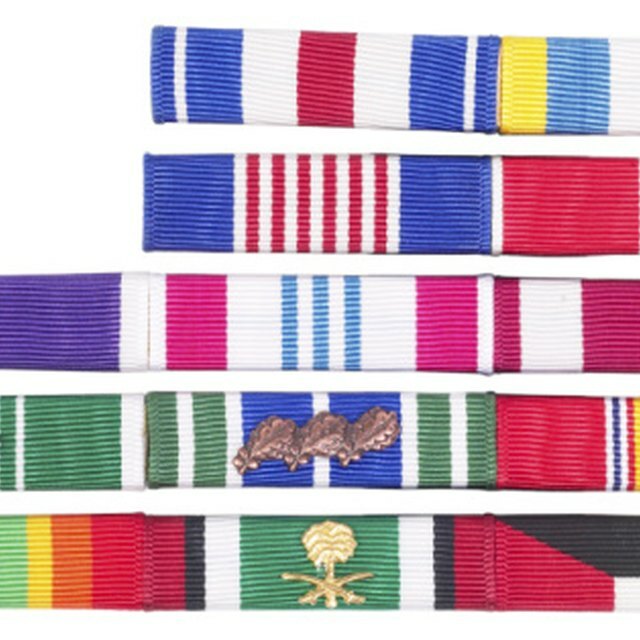 Worn on the formal dress uniform, medal racks act as a visual resume for the service member. 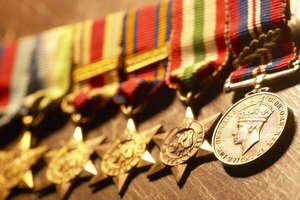 You can learn how to purchase, set up and protect a military medal rack. 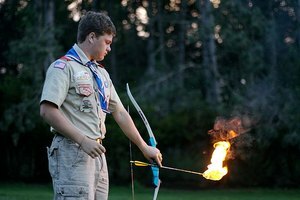 Figure out what awards should be worn. A veteran can consult her DD-214, the standard form given upon discharge, for a record of awards earned during service. 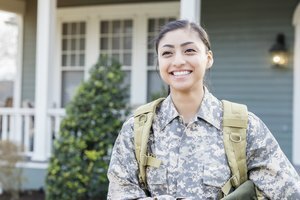 For those still on active duty, personal service records will contain each award earned. Purchase each ribbon you're authorized to wear. Those still on active duty can go to the military clothing and sales shop at their base exchange. Veterans can shop for medals online at one of the websites below or purchase the ribbons from a civilian Army-Navy surplus store. 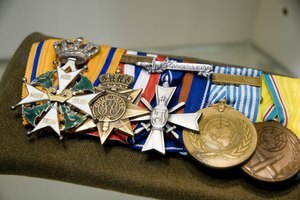 Assemble all medals and a medal rack of the correct size, then determine the order of precedence for the awards. The Department of Defense's Institute of Heraldry is an excellent resource. Or you can go to one of the linked websites below, enter the awards, and they will show the correct order to assemble your rack. The highest award goes on top, then from left to right. Carefully affix any small devices, such as stars or oak leaf clusters, to the ribbon part of the medal, ensuring they are properly centered before sliding your medal onto the rack. Remember to remove any metal backing from the medal, using needlenose pliers if necessary. Build your rack using the order of precedence. Gently slide the medals onto the rack backing. If the ribbon does not slide on easily, use needle nose pliers to loosen the metal backing. Once all medals are arranged, tighten the ribbons against the backing. Check one of the websites below if you do not want to build your own medal rack. Enter the awards you have earned and let them build it for you and mail it to your home. Protect your awards. 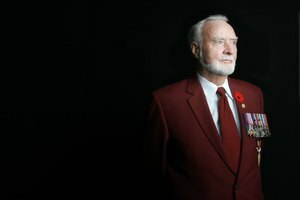 They are expensive and represent your military career, so they should be worn with pride. Remember that medals and rain do not mix. Water can damage your medals, so take precautions if you plan to be outside in the rain. Take time when assembling your rack to avoid having a ribbon break or tear off your medal. Blake, Matthew. "How to Build a Rack for Military Medals." 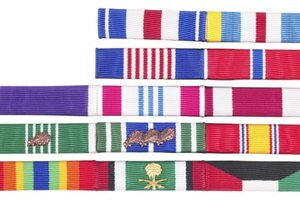 Synonym, https://classroom.synonym.com/how-to-build-a-rack-for-military-medals-13583420.html. 04 October 2017.